ACARP assists the Australian coal industry to develop and adopt technology and mining practice that leads the world. The program is entirely funded, owned and managed by the Australian black coal producers. ACARP was established in January 1992 and has had many great achievements that improves the safety and health of our people throughout its many years. What sets ACARP apart from other areas of research is the industry monitors that have direct input to the research that is been undertaken through a collaborative approach that utilises the experience and technical strength of both the coal mining industry and research institutions in solving technical problems and addressing issues of significance to the industry’s long-term future. 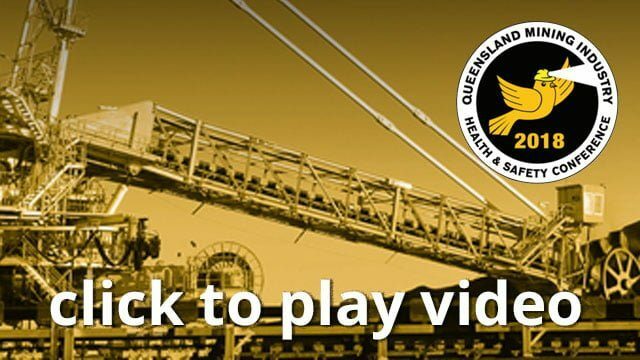 Any proposed research project that is strongly supported by a mine site and is of interest to a number of coal operations is encouraged. Safety and environment remain key drivers in the program and will continue to be the focus of much of the underground work and a significant component of the open cut and coal preparation programs. While the current priorities are not prescriptive they should act as a guide. • Prevent Harm from Spontaneous Combustion, Ignitions, Mine Fires, Extreme Heat, Explosions, Outbursts, Coal Bursts, Ventilation and Strata Failures – Improved understanding, detection, prediction, protection, selection and design of major hazard management systems. • Management of Health – including mental health and fatigue. • Communication to Employees and Contractors of Safety Measures – Improvement such that the information, training and instruction is understood and retained. • Airborne and Noise Contaminants – Reduce exposure to airborne dust, diesel emissions, and noise. • Emergency Response Measures – Adequacy and effectiveness. • Investigation of key practices, including legislative, leading practice alternatives and culture. • Investigation of key health and safety issues and management systems, practices and culture, including legislative leading practice alternatives. • Management of health including mental health, alcohol and other drugs, return to work and fatigue, e.g. by reduced exposure to noise, vibration, dust and heat, by determining mental health of employees, etc. • Protection and removal of personnel from hazardous situations such as those around unstable ground, in the vicinity of voids, and around excavations particularly during truck loading. • Handling aids, including automated technologies or equipment changes. • Improving equipment operator interfaces, vehicle interaction management, automation and remote control. • Development of safety in the design of systems and equipment that leads to the reduction of occupational exposure at the source, e.g. noise, dust, blast fumes etc. • Training and instruction are provided in a method that allows cognitive retention. • Development of a cognitive recognition method which addresses the normalising effects that are created due to the human brain predominantly operating in a subconscious mode and failing to recognise changes in their environment that could lead to adverse outcomes. ACARP facilitates industry and researchers to work together for a common goal that is the improvement of the health and safety of our industry and our people, this is a journey that we all share together.